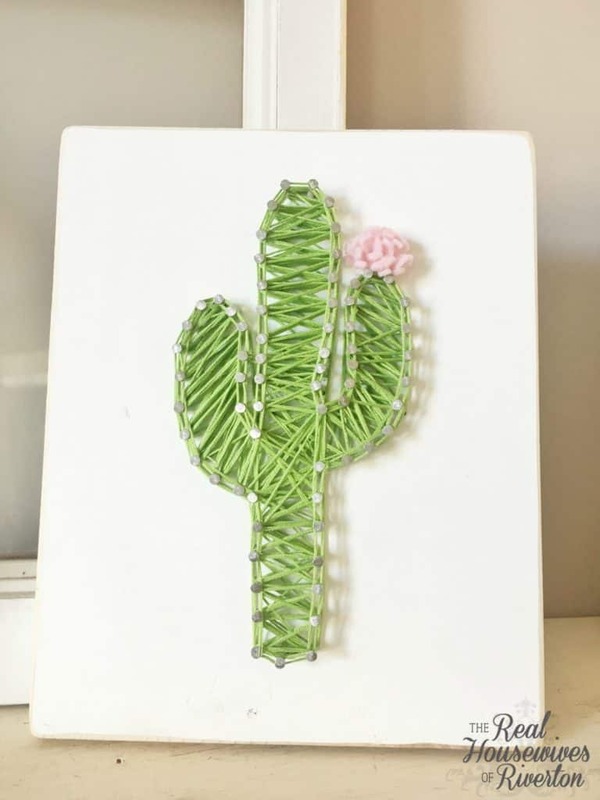 Who would have thought a cactus string art would be so cute? I wouldn’t have but I’m so glad I had the opportunity to try one out! 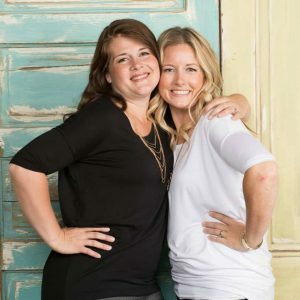 This past weekend we attended Snap Conference a blogging conference here in Utah. One of the fun things they do at this conference is a secret sister gift exchange, you are given a person’s name and buy a gift for them for each day at the conference and they don’t find out who you are until the last day. 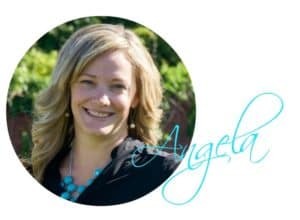 They give you their social media accounts and you pretty much stalk this person before the conference to see what they like. I looked up my secret sister and noticed that she loved cacti and most of her pictures were of them. I was a little stumped as to what to get for her. 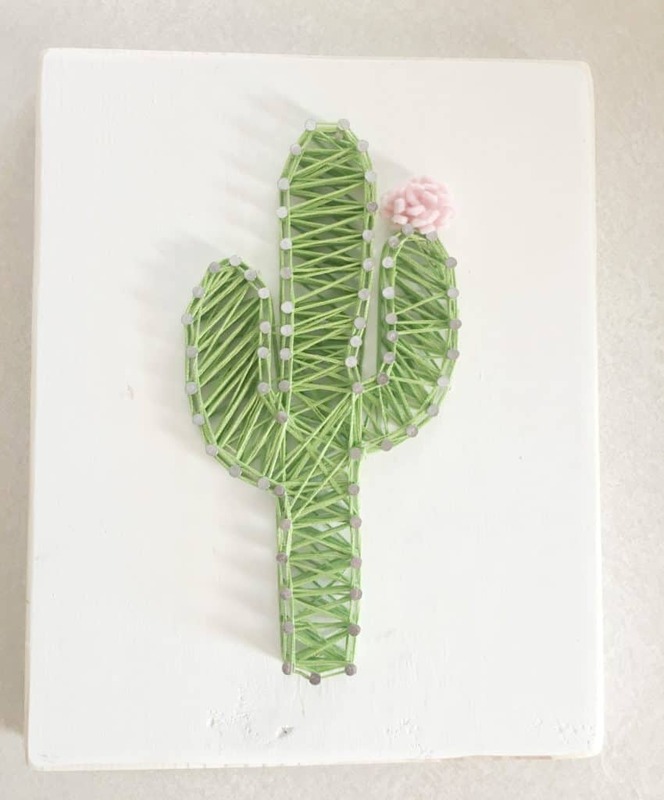 I was trying to think of different things I could do or make and then I thought ” Why not make her a cactus string art piece?”. I’ve done other tutorials on how to make string art, check them out if you need help getting started. The only thing that I did a little differently with this one is I decided to add a felt flower to the cactus. After I finished making the felt flower I glued it onto the wood with a hot glue gun. You can decide on how big you want your cactus to be and how long you want the piece of wood to be. My cactus was around 6 inches tall. I got my cactus design from Cricut Design Space, the great thing about using a design from Cricut Design Space is that it also cuts it out for you which means you don’t have to do that yourself! You can also google a cactus you like and print it off or draw one onto your wood. I was debating on adding the pink felt flower to the cactus string art and I’m so glad I did. It gives it the pop of color that I feel like it needed. Here is a great tutorial on how to make the felt flower. Oh how I love this color combination! 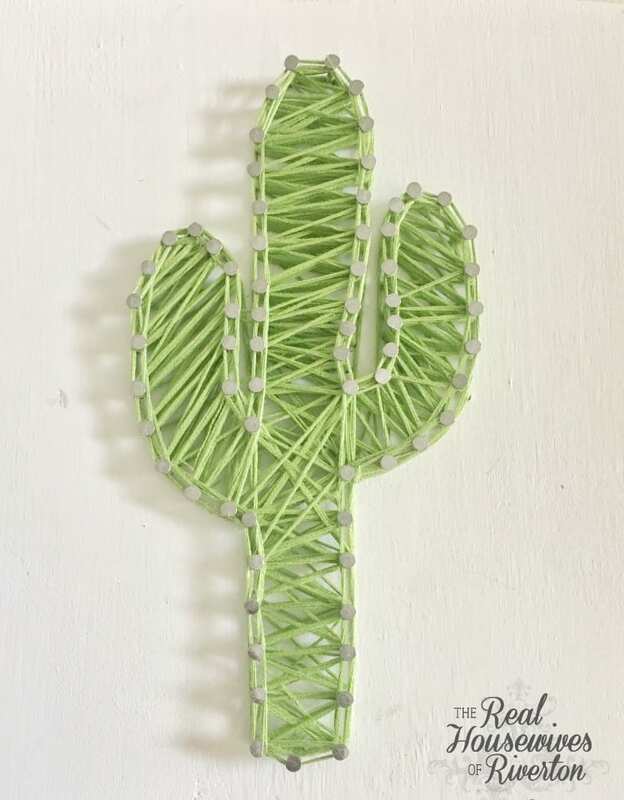 I have to admit this cactus string art turned out a lot cuter than I had expected. The colors of it are so fresh and fun, perfect for spring and summer. I’ve really never been a huge fan of cacti but this changed my mind. I’m so happy with the way it turned out and my secret sister loved it too, which made me even happier! 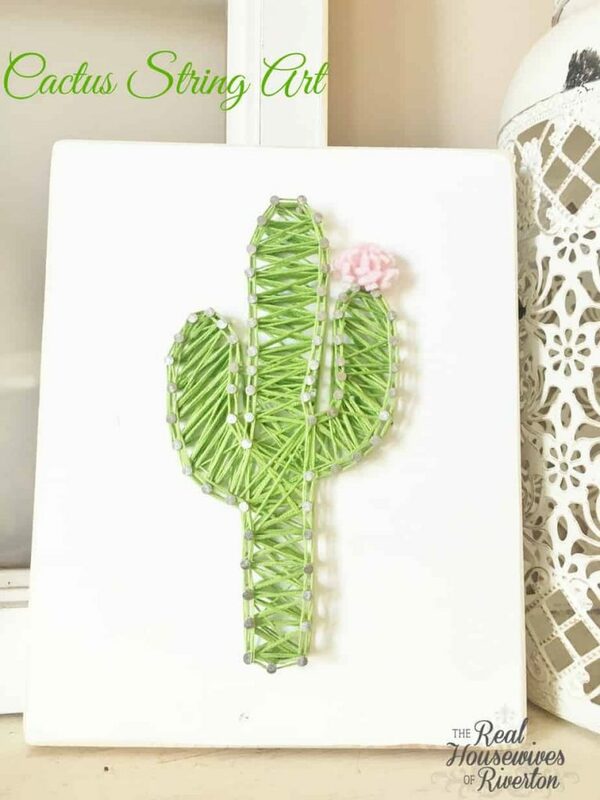 I’m thinking this cactus would look adorable on my gallery wall for summer! It has me re-thinking this whole cactus thing and now I need to make one for myself!